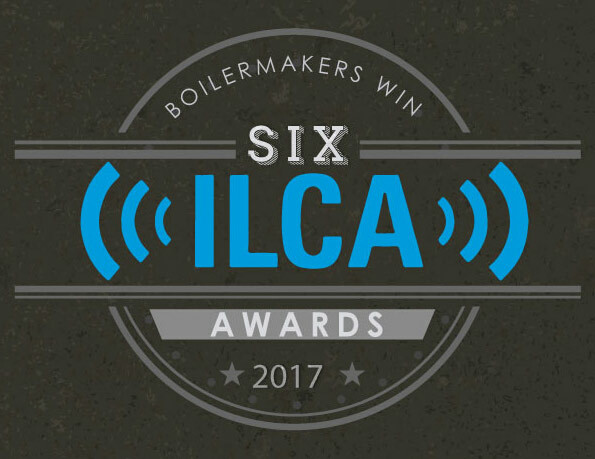 THE INTERNATIONAL LABOR Communications Association has announced that creative work produced by the Boilermakers International has been selected for six awards of excellence. The Communications Department received a first place award for Best Design/Newspapers and Newsletters; three second place awards for General Excellence/Website, Best Front Page/Cover, and Writing Awards/Best Profile; and a third place award for Best Photograph. The Boilermaker History Preservation Department, in conjunction with Wide Awake Films, won a first place award for Best Promotional Video. The awards were for work performed in 2016, with the exception of the website, which was judged live in 2017. The Boilermakers International competed at the national/international level. Competition was also held at regional, state, and local levels. Founded in 1955, the ILCA is the professional organization of labor communicators in North America. The organization's several hundred members produce publications with a total circulation in the tens of millions.